Hiya guys. How's' it going? For those that celebrate, are you ready for Christmas? I'm more than ready to eat all that yummy food that my folks will be making that's for sure. I'm trying to squeeze out a couple more holiday mani's before it's officially over. 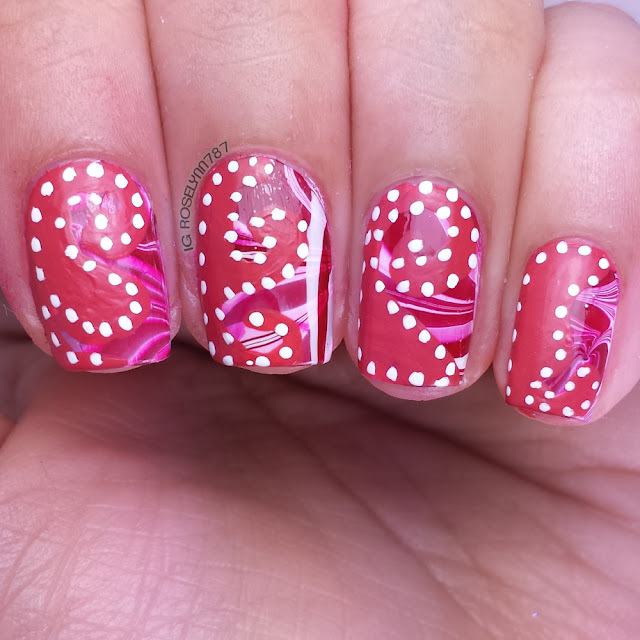 Today is the last day in the 12 Days of Christmas prompts from the Challenge Your Nail Art group. The prompt is freestyle so Cheyenne and I wanted to do bestie twin nails as well. What do you think? I was trying to do lines back and forth but it did not come out as planned. I probably should of looked at a tutorial instead of just winging it. The ring finger came out the best, in my opinion. 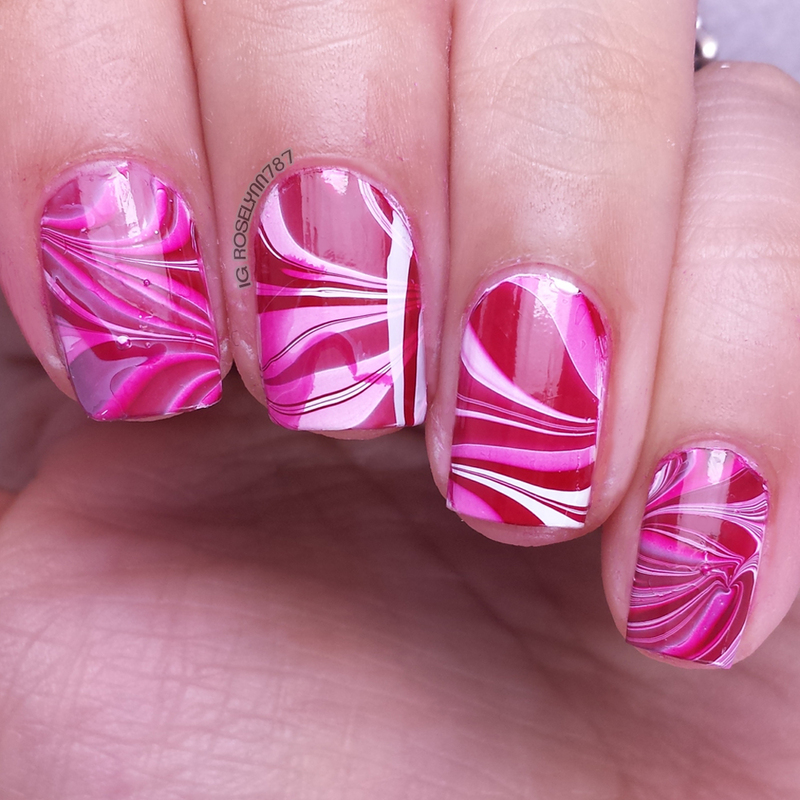 For this watermarble, I only used two polishes Seche Bella and OPI Alpine Snow. Both are perfection for watermarbling, but in retrospect I should of used OPI Race Red. While Seche Bella is beautiful, it's a little bit too deep red. This is my half of the bestie twin nails with Cheyenne from CDB Nails. We wanted to use vinyls from Twinkle T, but I ended up messing up the first time around and wasting mine. I unfortunately didn't have any more so I had to freehand the shape the best I could. It's at this point where I really regret using Seche Bella because it's really head to tell the difference between the fo-vinyl and the watermarble part. Oh well. I'm still happy with the funky outcome! 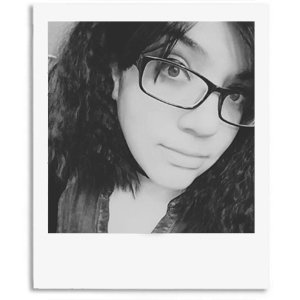 Check out the other ladies participating in today's last challenge prompt for the month. I think it looks great! :) Thanks for participating in the challenge! Oh man, watermarbling scares me so much, but these turned out great!